Surprised about how mushrooms are related to Agile? Curious about how Mount Everest ends in the subject title? Unsure about how to start Agile transformation? Puzzled how to take the next steps? Come join this sharing session, where Evelyn Tian will be sharing her insights based on her last decade of hands-on enterprise coaching experience with different organisations. She has summarised tips and patterns, through her coaching experience with large, medium and small organisations, and will be sharing these using stories and metaphors. No matter where you are in the Agile transformation journey, you will gain insights about Agile transformation and Agile leadership, and concrete take-aways to help you to start, boost energy and/or advance to the next level. Complete and submit the form below to register for the webinar. We got you covered! Register for this live event and we'll send you the On Demand recording shortly after the broadcast date. Evelyn Tian is a professional Lean and Agile Coach and Trainer, with specialties in enterprise coaching and growing agile coaches. 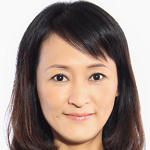 She has been working as an enterprise coach supporting organization transformation for almost a decade. She previously was the Lean and Agile Head Coach of Ericsson and headed the Ericsson Global Transformation Support Center. She has been passionately working with Lean and Agile transformations since 2009 and she has grown close to 30 coaches and trainers through apprenticeship and mentorship programs. She designed her own Agile Leadership course in 2011, which has been delivered to over 1000 leaders. She has also developed her own Agile Coaching course, with more than 30 classes of graduates. She has over 25 years of product development experience in telecom products, automotive industry, financial sectors and e-commerce products. She is an international conference speaker, and speaks from her real life coaching experiences about Agile transformation, Agile leadership, product ownership and Agile coaching etc. Additionally, she is one of the few Certified Path to CSP Educators from ScrumAlliance, who helps ScrumMasters, agile coaches and product owners to advance to the next steps, through in-person workshops or online programs.